CARBONDALE, Ill. — For generations, tales of a city lost in the Honduran jungle were whispered about by explorers, archaeologists, gold prospectors, drug smugglers and geologists. While some claimed discovery, no proof was ever given. That is, until documentary filmmaker and Southern Illinois University Carbondale alum Steve Elkins embarked on an effort that unearthed the legendary city and put Ciudad Blanca, the White City, back on the map. 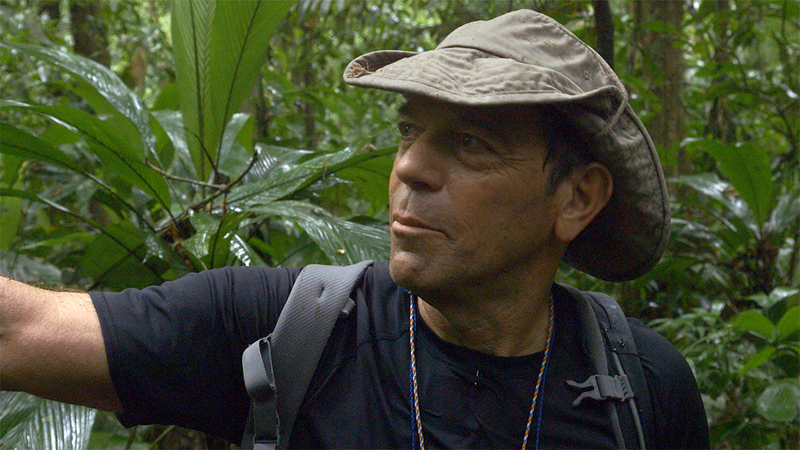 In heart-pounding detail, Elkins recounts his experience as expedition leader and discoverer of the mysterious ancient city in a remote Honduran jungle. With his story was featured in National Geographic and captured in the New York Times best-selling book “The Lost City of the Monkey God,” Elkins is coming back to his alma mater to share an inside look at the daring adventure. Elkins will be presenting at 7 p.m., Oct. 2, at the SIU Student Center Ballrooms. The event is free and open to the public. A reception and book signing will follow the presentation in the Student Center International Lounge. Coming from a background in earth sciences and archaeology, Elkins will also take some time to speak to the students in the geomythology and geographic information system classes at SIU. As a cinematographer, editor and producer, Elkins was always looking to blend his thirst for exploration with film-making. For him, the dream of finding the legendary city soon became an obsession. When he read about a new mapping technology that used an airborne remote sensing method to effectively map the earth’s surfaces beneath forest canopies, Elkins formed a company with the goal of exploring the Mosquito jungle in Honduras, and producing a documentary film about the legend. Enduring the extreme environment of the rainforest, Elkins’ team survived poisonous snakes, lethal parasites and hidden mud-holes to uncover the ancient lost city. The team’s efforts paid off, and their discovery quickly gained international attention. In 2017 Elkins was honored for his contributions to Honduras at a ceremony in Tegucigalpa, hosted by Honduran President Juan Orlando Hernandez and U.S. Ambassador James Nealon. Elkins has appeared on many media platforms such as TEDx, National Public Radio, CBS, Xinhua, BBC and more, and was featured in both a television episode and an article in National Geographic. The legacy of the lost city continues with a team of multinational biologists, under the auspices of Conservation International, conducting a survey of the unique flora and fauna of the rainforest surrounding the lost city. A public/private foundation, the Kaha Kamasa Foundation, is also being organized to provide for continuing scientific research and conservation of the threatened area.